HopeKids provides ongoing events, activities and a powerful, unique support community for families who have a child with cancer or some other life-­threatening medical condition. We surround these remarkable children and their families with the message that hope can be a powerful medicine. Metro Meals on Wheels was founded in 1997 as an association of independent Meals on Wheels programs in the Minneapolis/St. Paul metro area to provide support needed to meet the growing demand for nutritious home-delivered meals. Meals on Wheels programs have existed in the Twin Cities for more than 40 years. Metro Meals on Wheels was founded when community-based programs recognized that by forming an association, each program could benefit from a partnership that allowed them to share common resources. Community Emergency Assistance Programs (CEAP) is a community-based, non-profit agency dedicated to providing information, referrals, advocacy and assistance to low-income families and individuals, senior citizens and adults with disabilities. The purpose of the Brooklyn Park Athletic Association (BPAA) is to benefit the physical, mental, moral, and character development of its members and of the youth in our community by providing major sports programs and activities for boys and girls, regardless of ability or financial status. The MMFF is a community-supported fund founded in November 2004. Contributions are made by people who understand that there are many sacrifices that military families make and want to help soften the financial hardships that may occur, especially when a family member is deployed, by providing a financial safety net. SAVE (Suicide Awareness Voices of Education) focuses its efforts and resources on six main program areas: Public Awareness, Education, Training and Consulting, Grief Support, Products & Resources, and Research and Innovation. Our mission is to creat access to quality educational opportunities by energizing and mobilizing community, college and alumni resources on behalf of North Hennepin Community College. We aim to re-energize and transform students’ lives through positive experiences at NHCC. Our foundation has been helping students succeed since 1981. 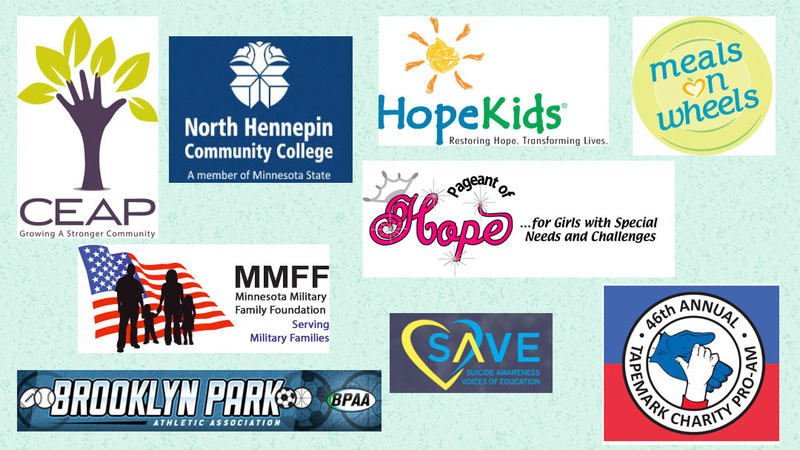 The Tapemark Charity Pro-Am Golf Tournament, founded in 1972, raises critical funds for non-profit agencies serving Minnesota children and adults living with developmental disabilities and their families. We are a private, not-for-profit 501 (c) 3 Foundation.